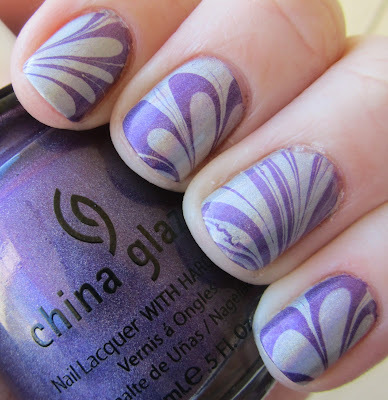 For this water marble, I used China Glaze OMG and China Glaze LOL. 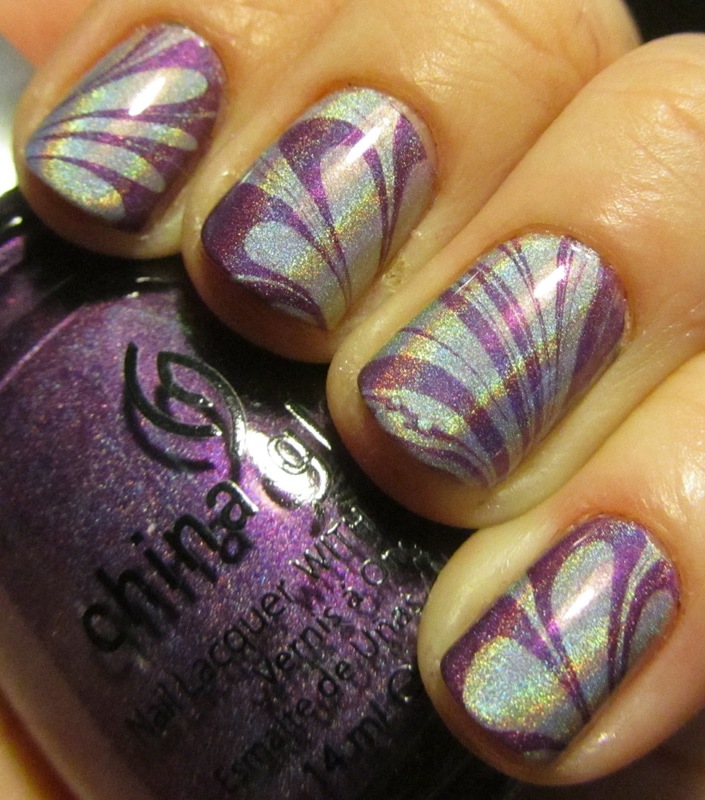 I started out with two coats of OMG as the base, then added the water marbling with both OMG and LOL. I topped it off with a coat of Seche Vite. Who do you have winning it all in your NCAA bracket? 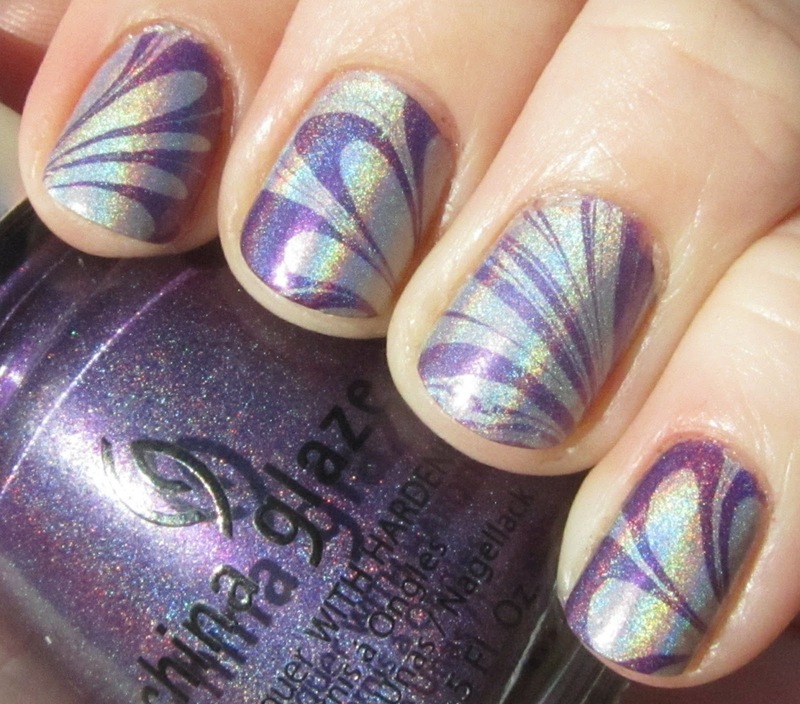 This is a really great water manicure! I'm still really intimidated by them! I'd be too scared to use such pretty holos in water marbling, but I guess if I were as good as you, I wouldn't worry about that lol. So amazing!!!!! 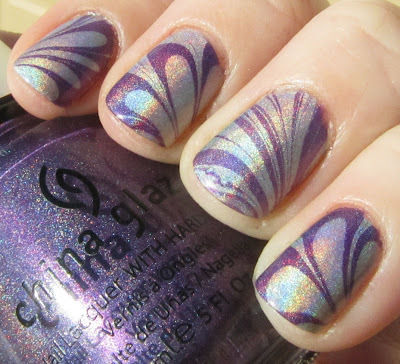 You are brave for using holos in marbling, the closest I've ever come was using Tronicas. Wow! This is beautiful. I think I'd be nervous about using holos for marbling too. If I knew my nails would turn out this nice, I'd do it for sure.